Further extending its promotion of sustainability, Mobil 1 will host a consumer event in Charlotte, N.C., providing Mobil 1 and Mobil Delvac 1 oil changes with fuel-saving benefits to race fans driving from Charlotte, N.C. to Richmond, Va.
"Mobil 1 continues to utilize our Race to Green initiative to validate its technology and educate our fans about the benefits of improved engine efficiency and fuel economy." 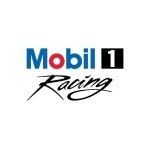 CHARLOTTE, N.C.--(BUSINESS WIRE)--As NASCAR® commences its 2016 NASCAR Race to GreenTM initiative, Mobil 1 is proud to enter its third year as an official NASCAR Race to Green partner, spotlighting the Mobil 1TM Advanced Fuel Economy and Mobil Delvac 1TM LE 5W-30 brands of motor oils. These Mobil 1 motor oils, with outstanding engine protection and fuel economy benefits, will be represented throughout the NASCAR Race to Green activations. As such, the Official Motor Oil of NASCAR’s multi-year efforts will be highlighted during a “Partner Spotlight” on the NASCAR Green social media and online channels on Friday, April 22. To further showcase ExxonMobil’s support of the NASCAR Green program, all race teams that choose Mobil 1 in NASCAR’s XFINITY and Sprint Cup Series races in Richmond will feature a special Mobil 1 Advanced Fuel Economy contingency sticker on their respective cars. At the same time, a Mobil 1 Advanced Fuel Economy paint scheme will adorn the No. 14 Mobil 1 Chevrolet during the TOYOTA OWNERS 400 NASCAR Sprint Cup Series™ race. In 2014, the first year in partnership with NASCAR Race to Green, ExxonMobil converted NASCAR’s fleet-and-service vehicles to Mobil 1 Advanced Fuel Economy and Mobil Delvac 1 LE 5W-30. In 2015, ExxonMobil brought that same support to the vehicles and generators in the roving NASCAR broadcast compound – present at each host race track throughout the season. 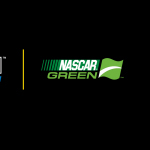 "Strategic partnerships that help protect our environment shape the NASCAR Green platform and Mobil 1 is a key contributor to our overall effort to be more sustainable," said Dr. Mike Lynch, vice president green innovation and STEM platforms, NASCAR. 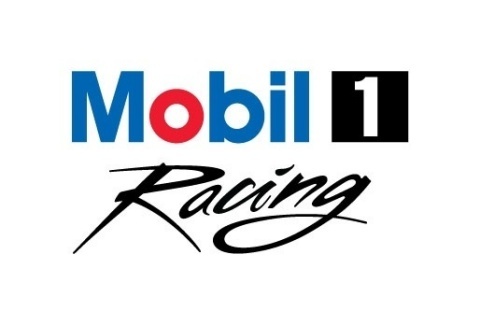 "Mobil 1 continues to utilize our Race to Green initiative to validate its technology and educate our fans about the benefits of improved engine efficiency and fuel economy." This year, ExxonMobil is bringing its motor oils with fuel-efficiency benefits directly to race fans who will road trip from Charlotte to Richmond. Fans who visit Westlake Auto and Tire in Denver, N.C., a Mobil 1TM Lube Express operator, can receive a reduced price oil change using ExxonMobil’s fuel economy benefit motor oils – Mobil 1 Advanced Fuel Economy and Mobil Delvac 1 LE 5W-30 – for their passenger vehicle, commercial vehicle or RV as they trek to Richmond to catch the weekend’s race action. The sustainability initiatives of Mobil 1 extend beyond NASCAR Race to Green. Since 2004, ExxonMobil has supported Earth 911 to help consumers with the challenge of properly disposing used oil. Through its website, www.Earth911.com, consumers can find information about reducing, re-using and recycling their used products in general, and identify nearby locations specifically for used oil collection. For tips on responsible used oil recycling, visit www.MobilOil.com. Westlake Auto & Tire is located at 4710 Commons Drive (Highway 150), Denver, NC, 28037. * Comparison based upon 2% potential fuel economy improvement obtained by switching from higher viscosity oils to a 0W-20 or 0W-30 grade. Actual savings are dependent upon vehicle/engine type, outside temperature, driving conditions and your current engine oil viscosity. **Relative to conventional 15W-40 engine oil. Actual fuel economy improvement is dependent on vehicle/equipment type, outside temperature, driving conditions and your current fluid viscosity. The National Association for Stock Car Auto Racing, Inc. (NASCAR) is the sanctioning body for the No. 1 form of motorsports in the United States. NASCAR consists of three national series (the NASCAR Sprint Cup Series™, NASCAR XFINITY Series™, and NASCAR Camping World Truck Series™), four regional series, one local grassroots series and three international series. The International Motor Sports Association™ (IMSA®) governs the IMSA WeatherTech SportsCar Championship™, the premier U.S. sports car series. Based in Daytona Beach, Fla., with offices in eight cities across North America, NASCAR sanctions more than 1,200 races in more than 30 U.S. states, Canada, Mexico and Europe. For more information visit http://www.NASCAR.com and http://www.IMSA.com, and follow NASCAR on Facebook, Twitter, Instagram, and Snapchat (‘NASCAR’). Racing provides the Mobil 1™ brand the ultimate testing ground to improve the technology in our range of oil and lubricants. Each race reason, our advanced products go to work to help improve vehicle performance and efficiency. Mobil 1 full synthetic motor oil serves as the lubricant of choice for many of the world’s top race teams who compete in some of the most demanding and popular motorsports series in the world. The knowledge we gain through these partnerships is integral to how our scientists and engineers develop future technologies and constantly push the boundaries. Today, we are proud to partner with Stewart-Haas Racing in NASCAR’s Sprint Cup Series; McLaren-Honda Formula One team; Porsche, Bentley and TOYOTA GAZOO Racing in the FIA World Endurance Championship; Corvette Racing and Porsche North America in the IMSA WeatherTech SportsCar Championship and numerous teams competing in Pirelli World Challenge. Along with our status as the Official Lubricant Technology Partner and Official Motor Oil of NASCAR, Mobil 1 serves as the title sponsor of the Porsche Mobil 1 Supercup and the Official Motor Oil of the Sports Car Club of America. Furthering our goal of demonstrating proof of performance in motorsport, Mobil 1 technology is trusted by more than 50 percent of teams in NASCAR’s top three series. For more information, visit: www.mobiloil.com. Stewart-Haas Racing is the title-winning NASCAR Sprint Cup Series team co-owned by three-time Sprint Cup champion Tony Stewart and Gene Haas, founder of Haas Automation – the largest CNC machine tool builder in North America. The team fields four entries in the elite Sprint Cup Series – the No. 14 Chevrolet for Stewart, the No. 10 Chevrolet for Danica Patrick, the No. 4 Chevrolet for Kevin Harvick and the No. 41 Chevrolet for Kurt Busch. Based in Kannapolis, North Carolina, Stewart-Haas Racing operates out of a 200,000-square-foot facility with approximately 280 employees. For more information, please visit us on the Web at www.StewartHaasRacing.com, on Facebook at www.Facebook.com/StewartHaasRacing, on Twitter @StewartHaasRcng and on Instagram @StewartHaasRacing.